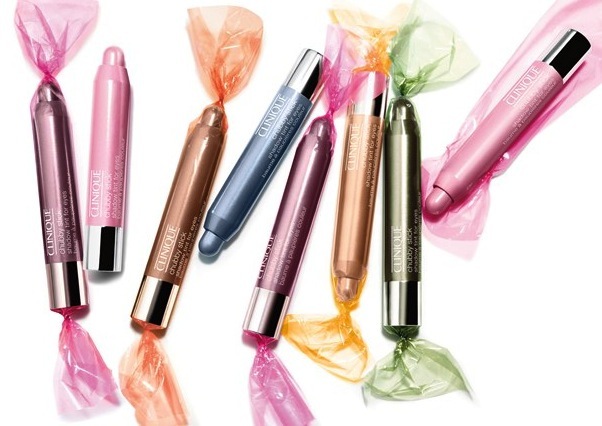 Packaging wise, they are basically identical to the Chubby Sticks for lips, with the same twist-up base that means they never require sharpening (less hassle = more win). They’re ultra convenient – big enough that they don’t get lost in the detritus of your handbag, not so big that they’re clunky and impractical. Similarly, the fat rounded tip of the shadow seems to have been custom-curved to fit in your eye socket; I reckon you could even roll these on without looking in a mirror. The formula of the shadow itself is somewhere between cream and powder. They’re not quite as… well, creamy… as a cream eye shadow, do not crease like many cream shadows and look more like a powder than a cream once on (they don’t have that ‘slick’ look to them). However, there’s definitely no powder-esque fall-out and they do not have the trademark dryer texture of a powder either! Once on, they feel nice, lightweight and set very quickly – great for staying power, but not so good for complex eye looks involving several shades. The Chubby Stick Shadow Tints apply rather sheer – these are intended as washes of colour rather than shocking pops of wow (although all are buildable to opacity). C’mon, it’s Clinique, you weren’t really expecting sunglasses-required zings of electric blue were you?! The shades are all work-safe and versatile, and combined with how convenient and easy they are to apply, they’re just as much as a no-brainer for your day-to-day look as the Chubby Stick Lip Balms are! 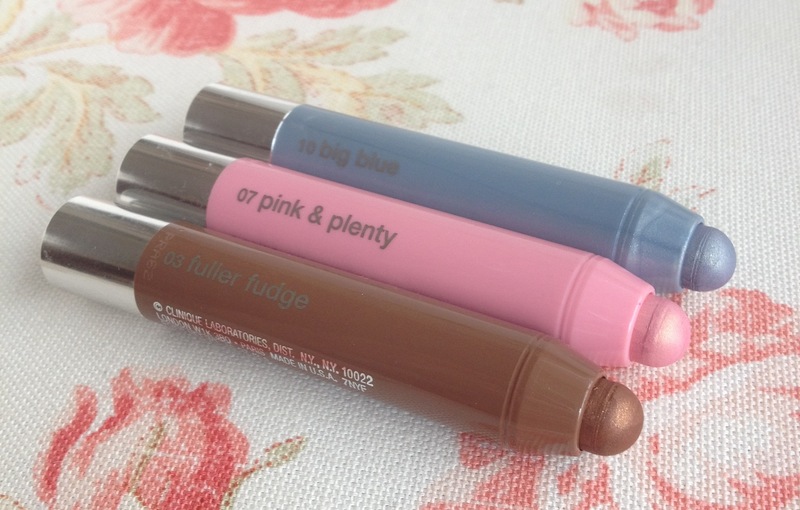 I was sent three shades to try – Fuller Fudge, Pink & Plenty and Big Blue. They actually all performed differently in terms of wear-time, pigmentation and texture so I think it’s definitely worth playing at counter to get a feel for individual shades rather than going by the overall generalisations. Fuller Fudge looks rather dull on first impressions but actually turned out to be my favourite! It is a medium red-based brown, slightly bronze-y and with a subtle gold shimmer. It is SO flattering, SO effortless and SO… easy (‘Eassssy like Sunday morning!’). It’s your favourite pair of jeans, your failsafe LBD, the colour that goes with everything, looks good on everyone and which every make-up cabinet should not be without. This was also the best performing Chubby Stick of the bunch – the most pigmented, the longest lasting and the softest to the touch. It required only two passes to build to opacity and glides on with zero pulling or tugging. On me, the colour started noticeably fading around the six to eight hour mark. As you can see, this was also Sunny’s favourite colour… he was desperate to get up there and give my lids a lick! 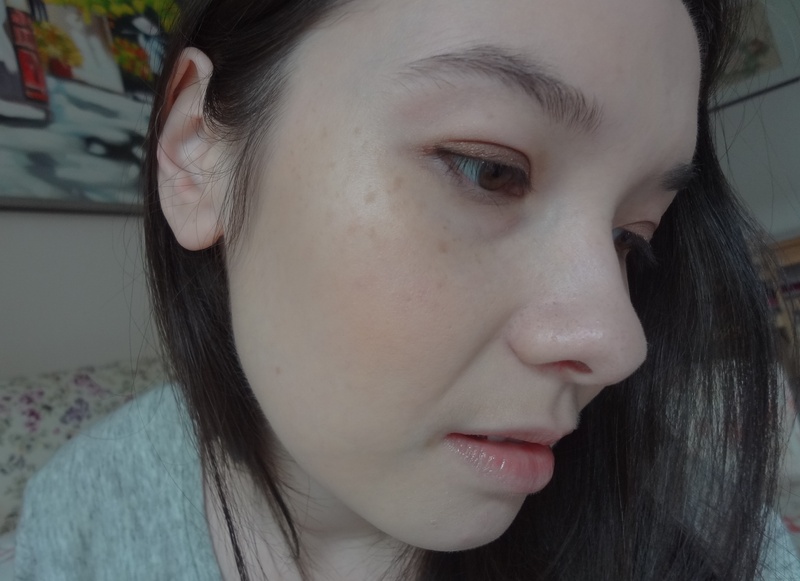 My heart sunk a little on seeing Pink & Plenty arrive; light pink eye shadows tend to disappear on my pale skin whilst darker pinks just make my eyes look swollen! However, on testing the colour, I was pleasantly surprised – it’s a rosy pink with a gorgeous peachy-gold shimmer running through it… Pretty enough to make me seriously consider trying to use it as a blush! 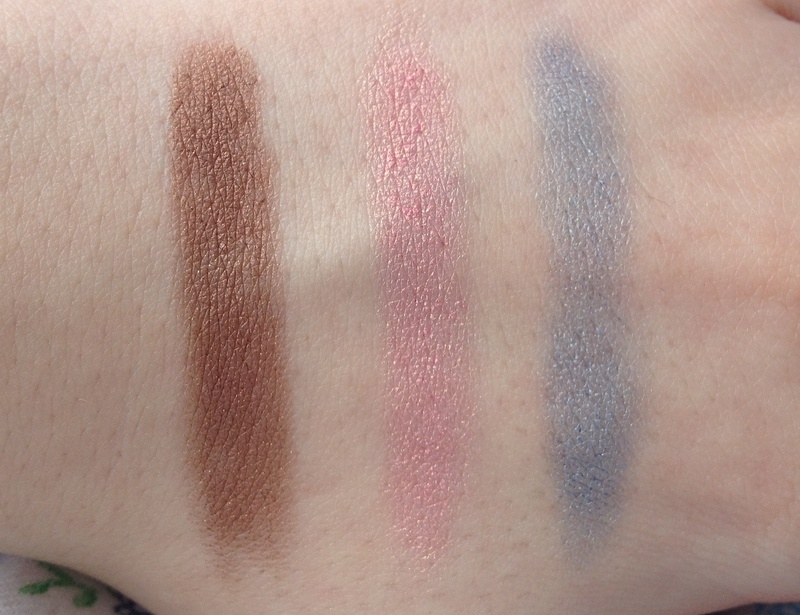 Pink & Plenty was also the least pigmented of the three I tried, meaning that wear time is significantly shorter. Personally, I would use this primarily as a layering shade with other Chubby Sticks to give a bit of added dimension and shimmer. 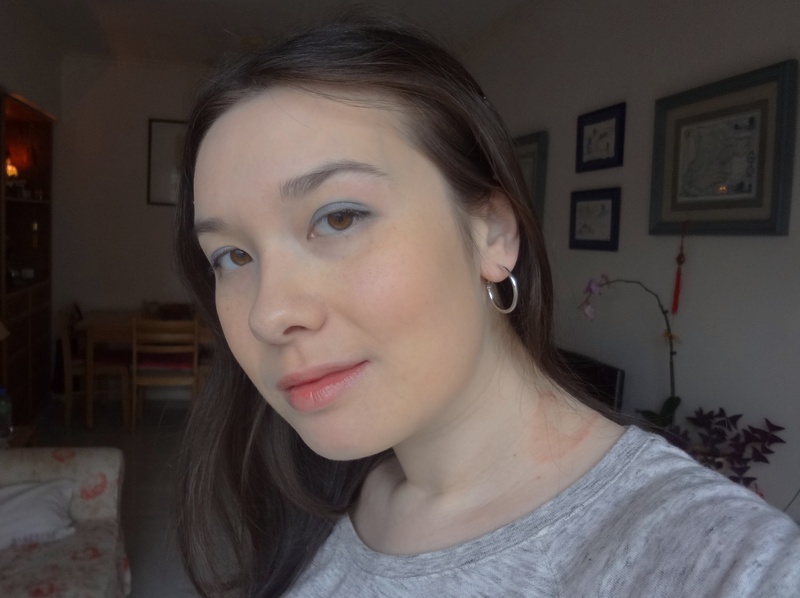 I was wary about Big Blue – frosty blue eye shadows just seem a little bit 80s, a little too figure skater doing a number inspired by The Snow Queen! But actually, this colour is really lovely, a silvery blue shot through with enough grey to make it very wearable for the day-to-day. For such a pale shade, it was actually surprisingly pigmented, with a strong colour showing after just one swipe and requiring only a couple more to build up to opacity. Thankfully, this was back to the easy application of Fuller Fudge – soft to the touch and with a similarly good wear time. 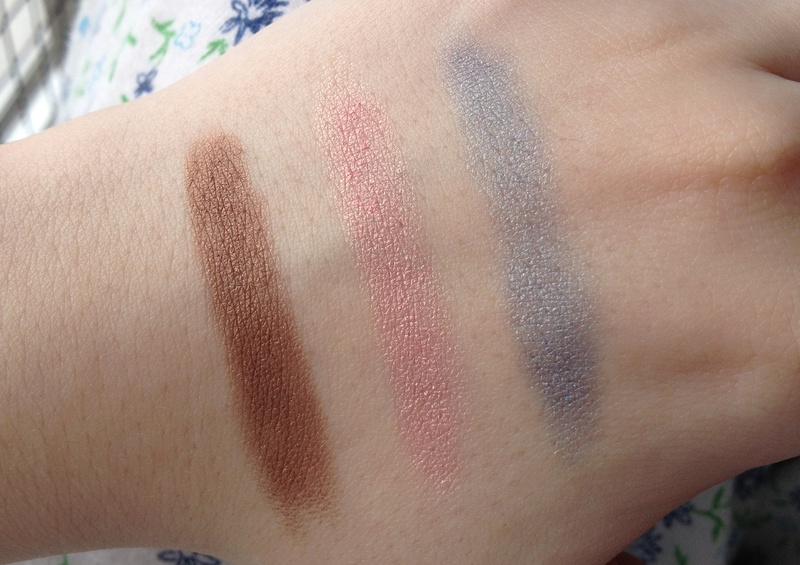 What really impressed me about Big Blue was how versatile it is – worn alone, it’s a fresh icy blue that works for summer days and brightening your eyes, but you could easily smudge up that eyeliner and layer it with other greys to achieve a dramatic smoky eye effect too. 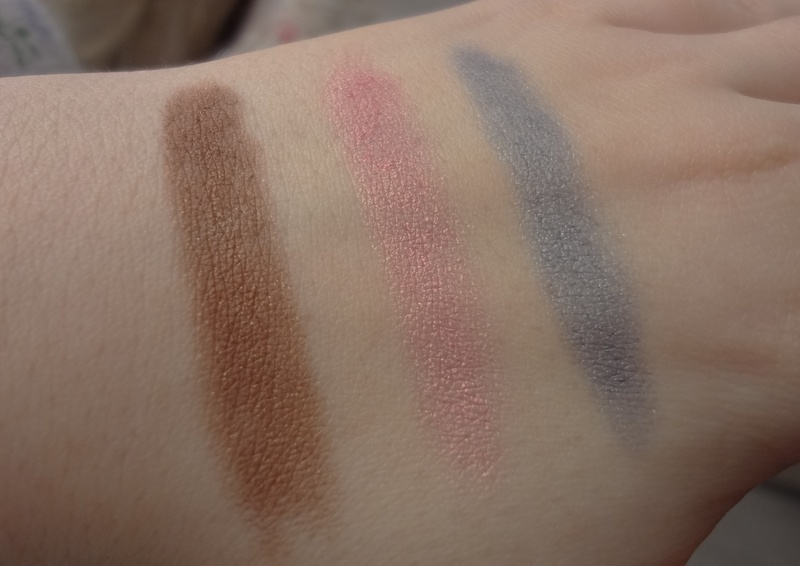 Overall, I did like the Chubby Stick Shadow Tints for Eyes on several counts – convenience, ease of use, the playful packaging and the wearable but not yawn-inducing colours. Personally, I found them softer and more comfortable to apply than the majority of MAC’s Shadesticks and Urban Decay’s 24/7 Shadow Pencils, and they don’t have the creasing problems of NYX’s Jumbo Pencils. 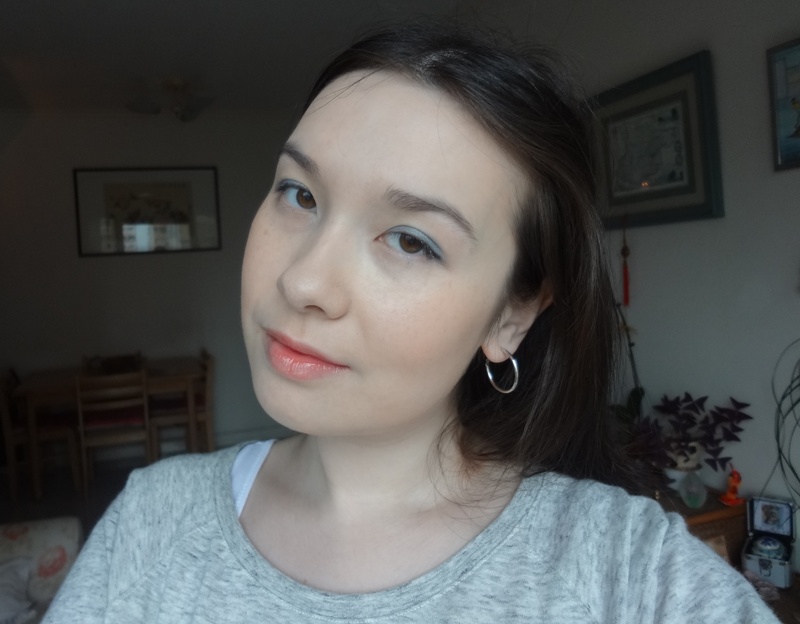 However, they’re a long way short of the magnificence of Laura Mercier’s Caviar Sticks, which are incredibly creamy, gorgeously pigmented, crazy long lasting and really deserve a review on here soon! For that reason, they don’t fill a desperate gaping hole in my make-up stash like the Chubby Stick Lip Balms did; the Shadow Tints just are not nearly as dreamily creamy on the eyes as their balm counterparts are on the lips. Nevertheless, I do love the packaging and concept enough to want to check out some other shades at counter; crazy colours have a tendency to take over my make-up bag and we all need a pretty palette cleanser every once in a while! After all, Fuller Fudge is just the kind of colour I never realised I was lacking until I tried it – and then I was smitten! 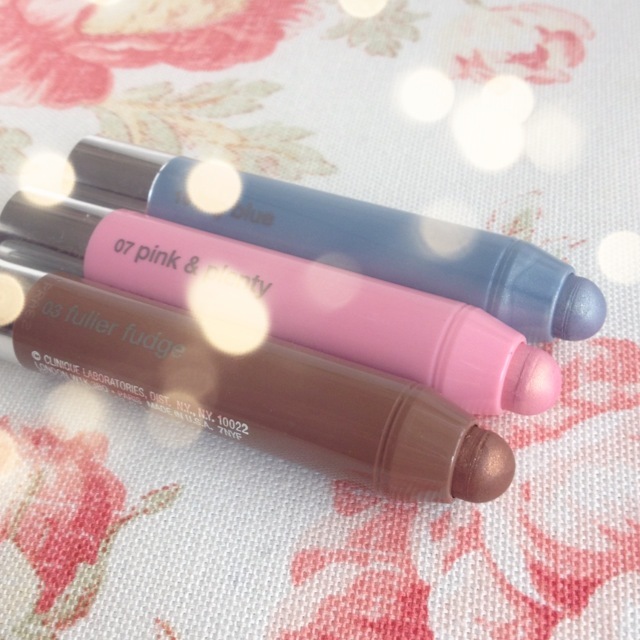 The Clinique Chubby Stick Shadow Tints for Eyes deliver on their promise of lovely wearable shades that are convenient and easy to use in the trademark Clinique fuss-free way. Now who wants some Chubby Blushes next then?! 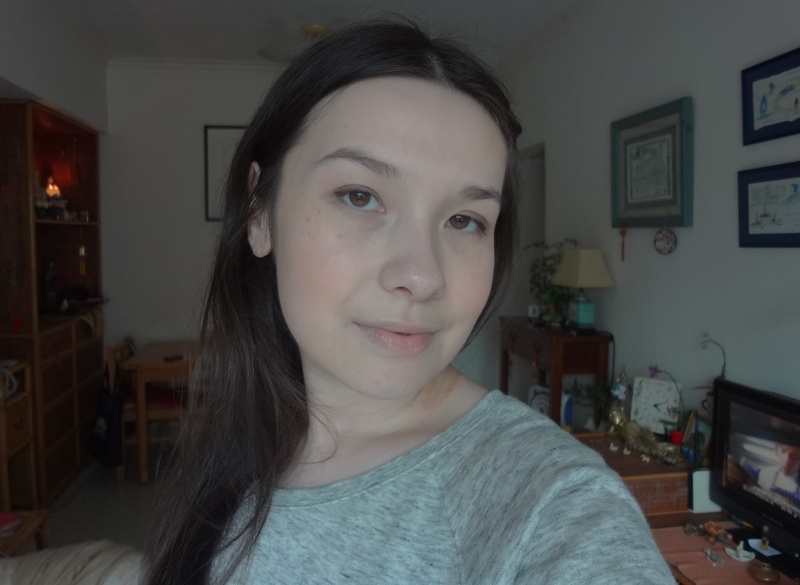 This entry was posted in Beauty and tagged Beauty, Big Blue, Chubby Stick for Eye comparisons, Chubby Stick for Eyes, Clinique, Clinique Chubby Stick Shadow Tints for Eyes, Clinique Chubby Sticks, Clinique Chubby Sticks for Eyes, Clinique Eye Chubby Sticks, cosmetics, EOTD, FOTD, Fuller Fudge, look, LOTD, make-up, photos, Pink & Plenty, review, swatch, swatches. Bookmark the permalink. They all looked very comfortably soft & natural, very nice indeed! Can’t wait to pick some up! Looking forward to seeing what shades you get! So glad to finally find a full-face photo with Big Blue. Swatches are great but your concern with the outdated nature of a shiny, pale blue is likely very common. I’ve been eyeing this shade for awhile and after seeing it look so fresh and modern on your beautiful face, I am convinced – off to the Clinique counter I go. Merci! 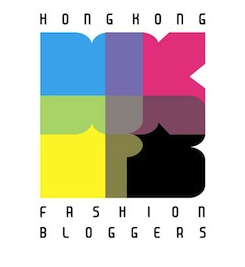 Thanks so much for the lovely comment! 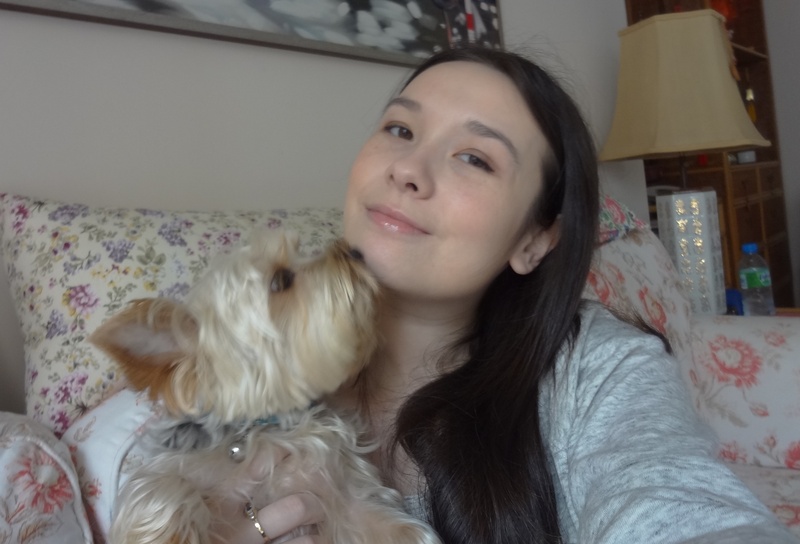 Glad to hear the full face photos help – they take ages to do so good to know it’s worth it! Hope you like The Big Blue!